Five people have been charged as part of an investigation into organised crime. They were arrested on Wednesday after a series of raids as part of Operation Jennet, a probe into serious and organised crime. Eight have already been charged with drugs offences after being arrested last week. Det Chief Inspector Becky Smith, of Lancashire Police, said: “These latest arrests send out a clear message to those involved in organised crime, including the production and supply of drugs, the violence which controls this market and how it impacts on vulnerable people, blights our communities and puts ordinary law-abiding people at risk. “I would like to reassure the public we will keep up the pressure on those involved in serious and organised crime in Lancashire, continually striving to protect the most vulnerable. 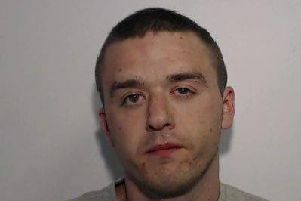 Daniel Mahon, 25, of Sharow Grove, Blackpool – conspiracy to supply a class A controlled drug. Joshua Shaw, 25, of Henson Avenue, Blackpool – conspiracy to supply a class A controlled drug and possess with intent to supply a controlled drug of Class B.
John Casey, 31, of Seventh Avenue, Blackpool – conspiracy to supply a class A controlled drug. Blu Leahy, 25, of Powell Avenue, Blackpool – conspiracy to supply a class A controlled drug. Declan Morgan, 25, of Melville Road, Blackpool – conspiracy to supply a class A controlled drug and conspire to supply a controlled drug of Class B. All werer bailed to appear at Preston Magistrates’ Court on March 9. A sixth man, aged 30 and from Blackpool, was released under investigation.